Marker to commemorate the 1936 Texas Centennial, now located at the historic downtown courthouse. 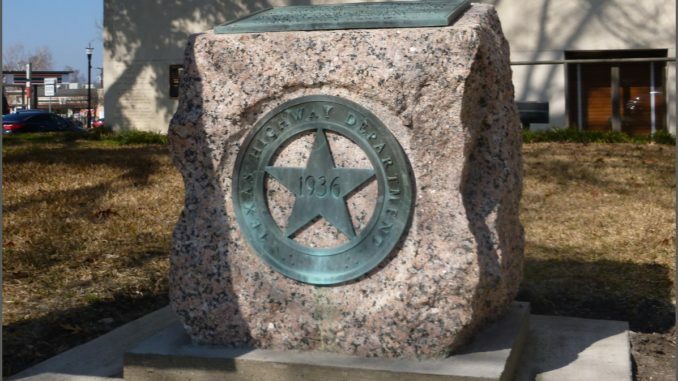 Hundreds of pink granite and bronze monuments were commissioned by the State of Texas to commemorate the 1936 Texas Centennial and placed across Texas. Rockwall’s monument had been in the same location for 79 years. Originally positioned along State Hwy. 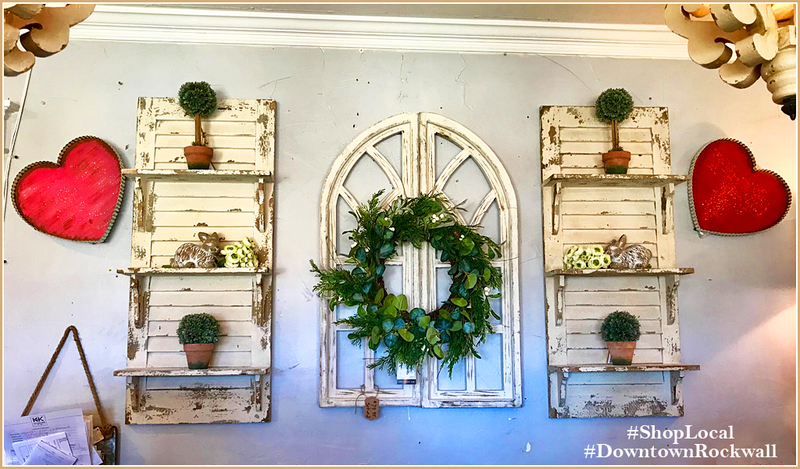 66 (Bankhead Highway) between the current intersection of Caruth Lane and Helping Hands in Rockwall, accessibility to the monument greatly decreased as the area grew from a small farming community, and population and traffic increased. The Rockwall County Historical Commission in conjunction with Rockwall County Historical Foundation recently requested permission from the State and County to move the historical marker. Relocation was completed last week when the monument was moved to the South side of the historic, downtown Courthouse, facing State Hwy. 66. The impressive monument is an now highly visible and readily accessible. 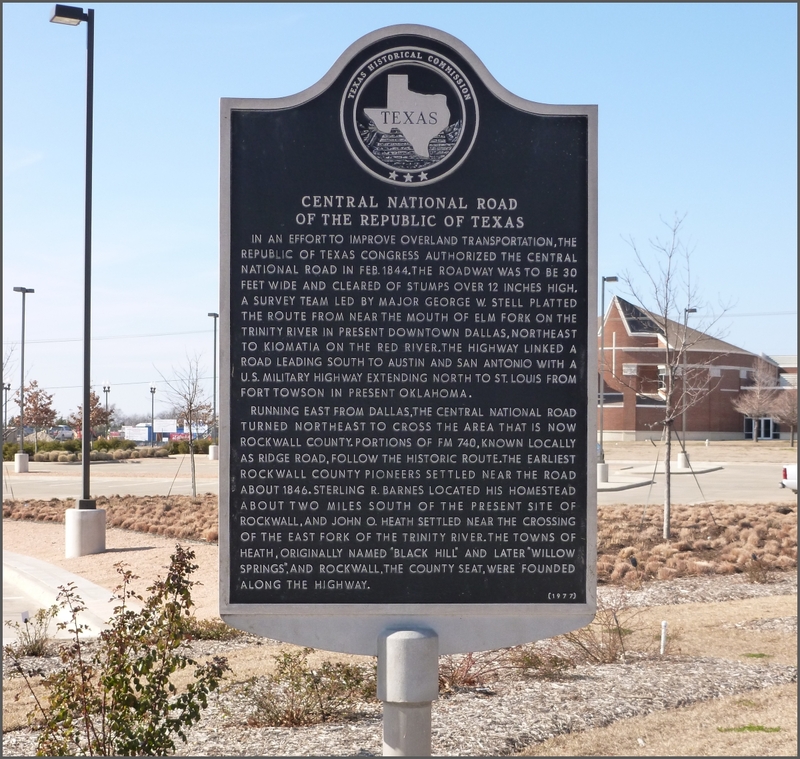 In 1977, the THC placed a marker for the Central National Road of the Republic of Texas near the intersection of Ridge Road and Interstate 30, next to Lakeside Bank. Over the years, that location has grown from a vacant field to the intersection of a busy shopping center. The Central National Road followed the high ground across Rockwall County, following Ridge Road. That high ground also turns to the East along what is now Yellow Jacket Lane. This marker has also been relocated to a new home between the new Rockwall County Courthouse and Library on Yellow Jacket Lane. The new location is appropriate and easily accessible. 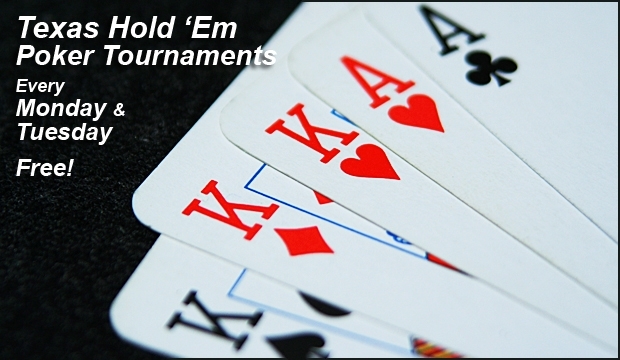 Take time to become familiar with the history of both of these significant markers.